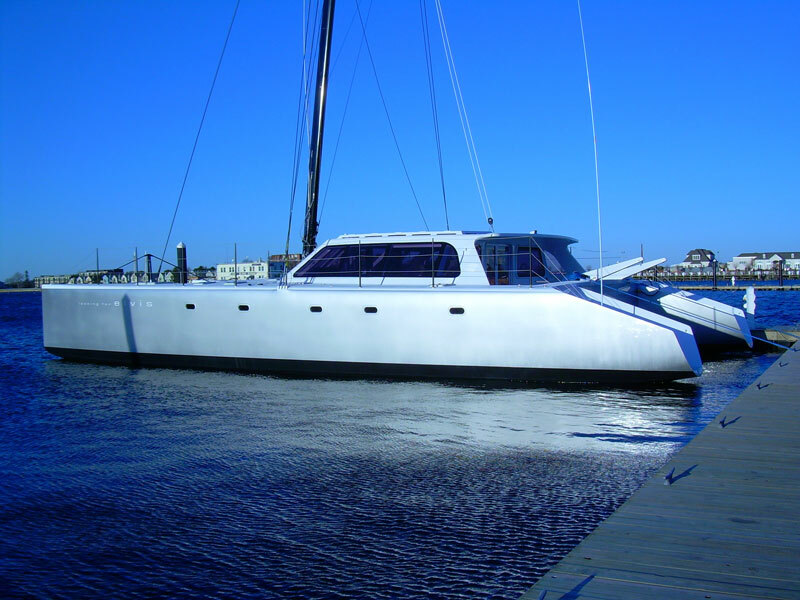 The paint team at Newport Shipyard, led by Craig “Figgy” Mitchell, is experienced in all types, products and applications of finish paints as well as all surface preparation techniques. 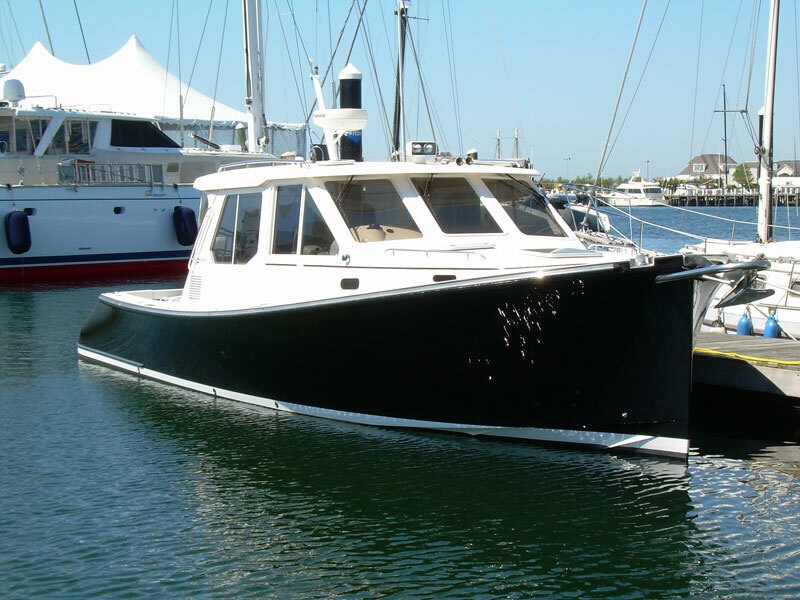 Sea Hawk, Pettit, Interlux, Alexseal, and Awlgrip, are some of the top products our paint team are well versed in. 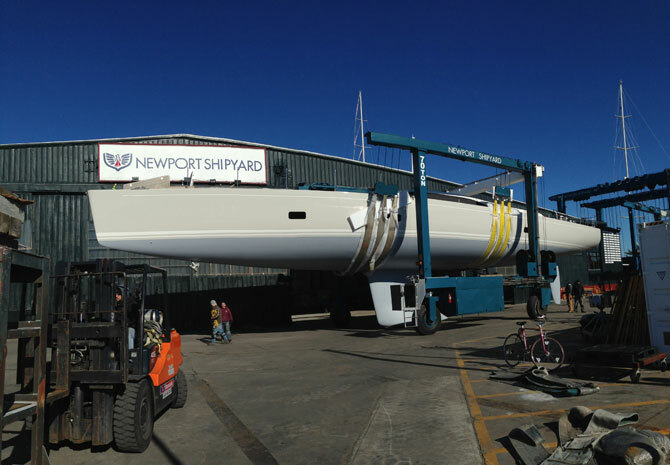 Newport Shipyard’s Paint Team can handle topside and bottom paint projects from 30’ to 150+ feet, both sail and power. 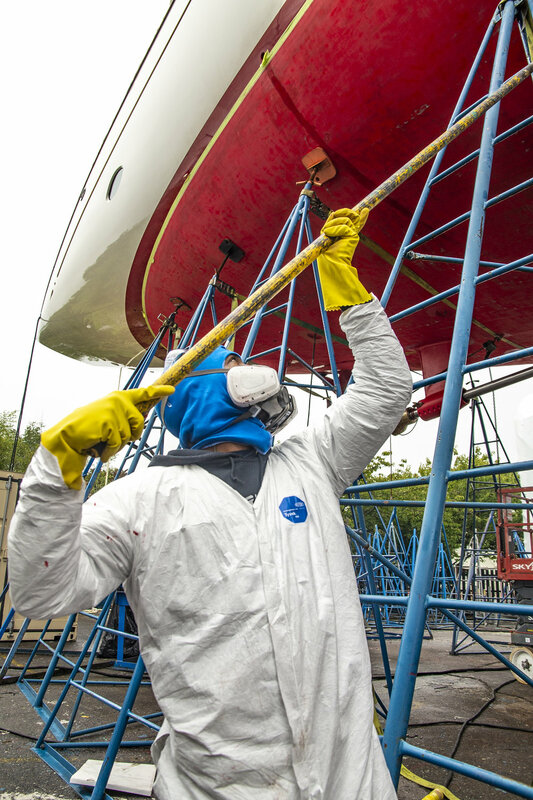 Topside blends, buff outs, varnishing, corrosion repair and fairing are part of paint and finishing services we provide. 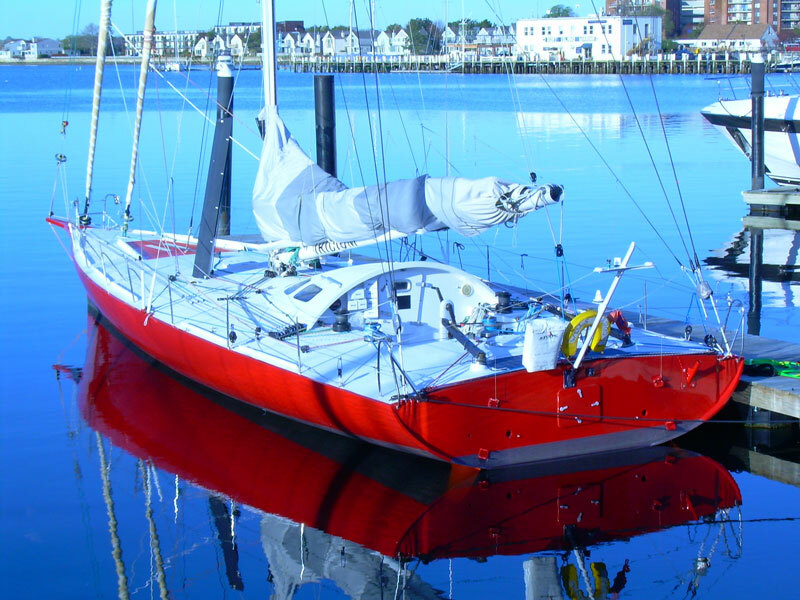 Newport Shipyard’s team is also capable of bottom preparation and anti-fouling to race-ready levels, and we can provide fiberglass specialists who are experts in vacuum bagging fiberglass repairs when required. 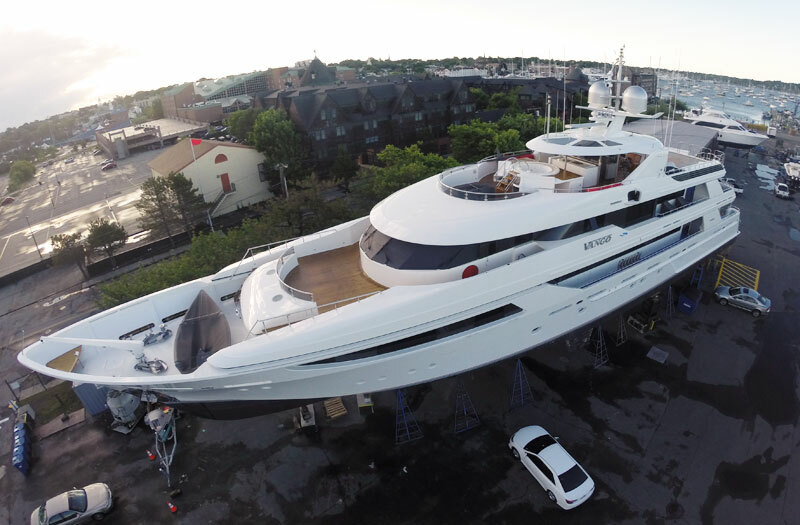 Newport Shipyard’s experienced team is capable of anti-fouling removal via media blasting, and application of full anti-fouling paint systems. 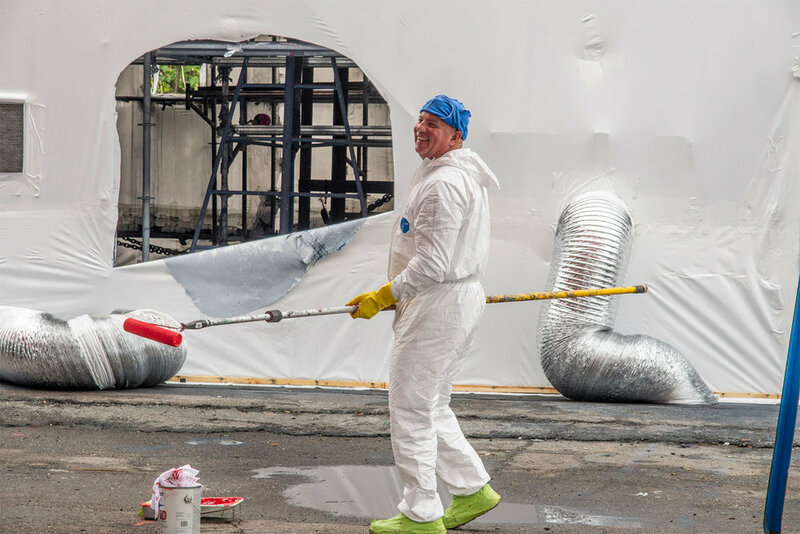 We have indoor and outdoor space available for paint projects and can build custom membrane enclosures that offer a clean, environmentally sound work space to fit every job. We own a custom mobile three-stage carbon ventilation container, which helps eliminate dust, overspray, and Volatile Organic Compounds (VOCs). We can also provide graphics specialists to apply any custom wrap, boot stripe, and now bottom coating which is durable, environmentally friendly, and time and budget-friendly.